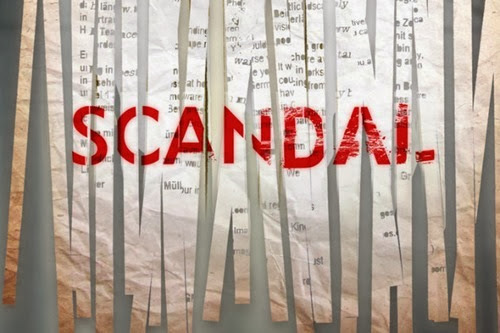 For me, this week’s Scandal did come Full Circle – it brought me back to the season premiere and how awful I felt after watching it. I try to watch the show from a place that is not only about Olivia and Fitz, because I realize their relationship is not the only point of the show. However, with all of the build up showing Olivia’s love for Fitz, with her dream of Vermont and the fact that he gave her the ring that she never takes off, to see her literally throw the ring in his face left me in a bad place. Obviously she is in a state of shock and she feels like she is all alone, but somehow I expected her to react differently to seeing him again. At this point I can’t imagine how she should have reacted, but to treat him like he should have let her die? To act like Mellie does and blame him for everything she’s “sacrificed” for him? That’s not what I expected her to do. Looking at other parts of the episode aside from that last scene, I don’t think all that much even happened. The other main event was obviously who bought Olivia. Even though OPA tried, she ended up being bought by the Russians. The CIA wanted to get rid of her to protect state secrets and Cyrus went ahead with this plan behind Fitz’s back. However, when he saw who the Russians really were, he halted the plan because he recognized the buyer – it was Stephen from Season 1’s OPA team. Here is where I know I read too many spoilers and speculation – I had been reading all along that people thought it would be him. I didn’t agree, and when I saw it was him in the end, I wasn’t even surprised. It was Abby who got Stephen involved, and I liked that part of it. What we didn’t find out was who was the ultimate mastermind behind everything. I thought it would have been too obvious if it was her father, and he acted like he was surprised by the whole thing, so maybe he wasn’t involved. But who was? Andrew certainly didn’t do it all on his own. Speaking of Andrew, Lizzie used Huck to give him a stroke, so I doubt he’ll stay VP for long. Any guesses on his replacement? My guess is Lizzie. I actually don’t even care about Andrew or Lizzie. I care about Olivia. And I’m interested to see how she will deal with the trauma she has gone through. Plus, Cyrus told the CIA director that Olivia is Fitz’s heart. His heart is apparently broken. How will he mend it? Scandal is not on next week. When it returns, I will be waiting to see Olivia work on healing herself. From what I’ve read, it won’t be easy.